MEGABITE Premium is a proven versatile long season diploid and tetraploid blend enhanced with late seeding material to improve both palatability and energy produced per hectare. The fast establishing MEGABITE Premium will produce high yields into early summer and can perform well into a second year with suitable conditions. Trialling has enabled us to continually refine our blend, and after 29 years it is still our #1 seller & performer in our Italian Ryegrass range. MEGABITE Premium is a proven versatile long season diploid and tetraploid blend enhanced with late seeding material to improve both palatability and energy produced per hectare. The fast establishing MegaBite Premium will produce high yields into early summer and can perform well into a second year with suitable conditions. MEGABITE Plus delivers the same proven versatile long season diploid and tetraploid enhanced benefits as MEGABITE Premium, combined with the balansa and shaftal clovers. 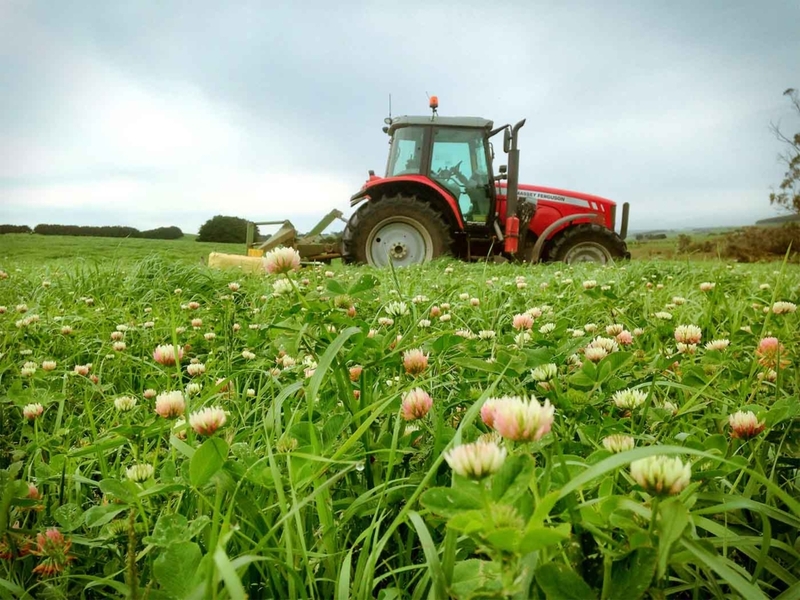 The addition of clovers can produce a higher quality forage and improve the quality of hay and silage. It can often produce a higher yield than straight Italian ryegrass. Interested in perennial ryegrass blends? We've got the right one for you in our Vatbuster range of perennial ryegrass blends.